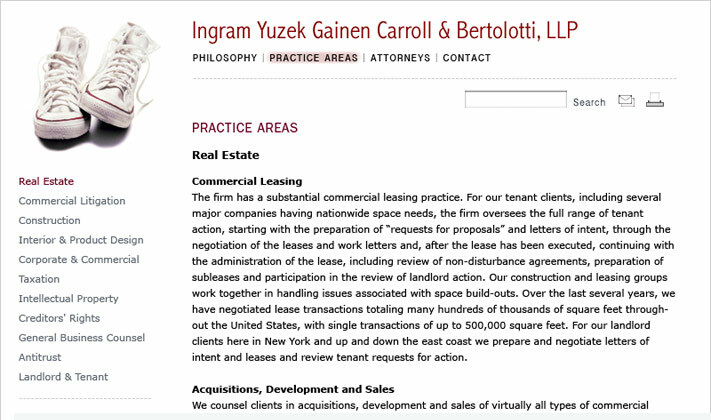 Ingram Yuzek Gainen Carroll & Bertolotti, LLP contracted Cabengo to re-develop and re-design its existing website. The new site needed to position Yuzek as a friendly, client-driven law firm with big firm depth and expertise. The sensibility needed to be irreverent yet sophisticated and professional. The client also wanted to be able to maintain site content internally after launch, without technical know-how. 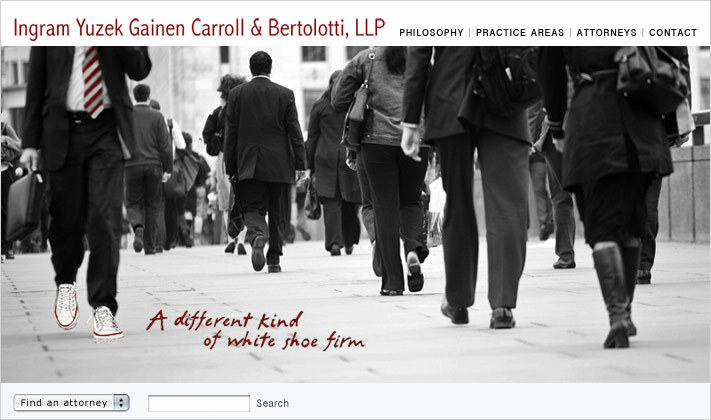 Our design concept built on Yuzek’s existing “white shoe” campaign. 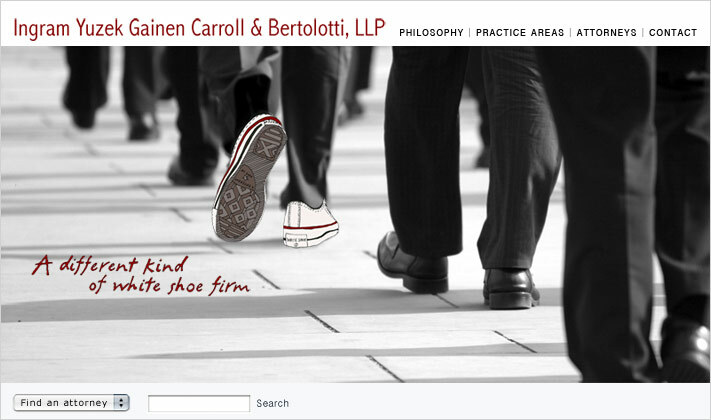 We created six different homepage photo/illustrations of business people walking or standing. In each black/white photo, one person in the group is wearing illustrated, white sneakers. 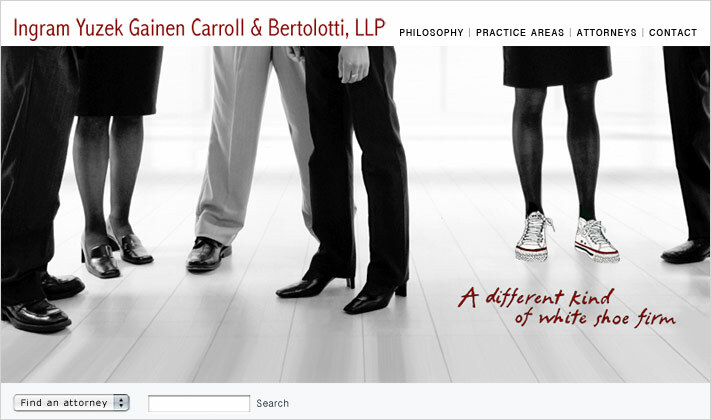 Much like the firm itself, the homepage graphics are charming and inviting. The quirky illustrations suggest an intervention, a departure from business-as-usual. The photos load randomly; site visitors may get one of six different homepage graphics each time they come to the site. Our “less is more” aesthetic — the graphic black/white palette with the brick red highlight coupled with the clean modern type — reinforces an impression of the firm as smart and sophisticated, lithe, able to do more for its clients with less fuss and infrastructure. To meet content management needs, we implemented Expression Engine, a flexible third-party CMS.